If you don't know who Fabian Rangel Jr. is, well, you're about to find out. He is an American comic book writer and one hell of a funny guy. Oh, and uber talented, too. He resides in Corpus Christi, Texas, and spends a lot of his free time writing comics that you love. But if you're new to his work: comics that you will come to love. His comics include the highly popular DOC UNKNOWN series from his Believe in Comics imprint (available on Comixology), BOSS SNAKE, LOS MUERTOS, FUBAR, MONSTROSITY and SIX. 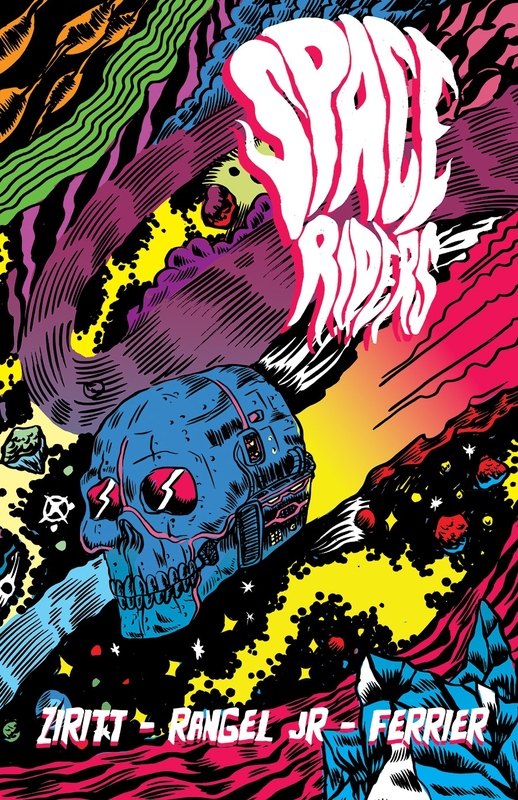 Plus, coming in March 2015 - via Black Mask Studios - SPACE RIDERS, with art by Alexis Ziritt and Letters by Ryan Ferrier. Don't wait any longer! Hit play on the Soundcloud link and enjoy one hell of an interview, with one hell of a stand up guy, Fabian Rangel Jr. And hey, follow him on Twitter at @FabianRangelJr.